When I was offered the opportunity to teach a course in jazz history and performance practice at NYC’s Pace University in the late 1980’s, my first naive thought was that this art form was so young – having begun only approximately 90 years before – that there wouldn’t be all that much “history” to talk about. I soon discovered how wrong I was! I can’t recall how I first came upon one of the two textbooks I subsequently decided to use for my course, but its very title – Jazz Styles: History and Analysis by Marc Gridley…Pearson Prentice Hall) – strongly suggested that there was indeed a substantial “history” to talk about, and that it was characterised by an evolution of, and fairly frequent changing of, musical styles over a relatively short span of just a few decades. In that excellent textbook, I read about one of the most interesting features of jazz history, namely that notwithstanding its constantly metamorphosing nature, a given jazz style never totally disappears, only to be completely replaced by a newer form of jazz expression, but rather remains extant at least to some modest extent. In other words, even though a particular jazz style may no longer have continued to be in vogue after a time, it continued to co-exist at least to a modest degree with the emerging newer one. There is a definite, easy-to-define line of succession of jazz styles, but none has become so completely obsolete that it is no longer practiced occasionally by somebody somewhere at any given moment, even if only for its fun or nostalgia value. For example, swing-era bandleader/pianist Count Basie plays a few moments of stride piano style on his 1977 recording of Trio Blues (to be found on the Smithsonian Jazz Piano compilation) to the utter delight of his live audience; performed at a time when stride piano style had long become passé and Basie had pioneered a new piano style called “comping”, which featured sparse and light syncopated chording rather than the unceasing left hand oom-pah oom-pah stride-piano approach that it replaced. And as almost everyone knows, comping style became – and to this day remains – the predominant jazz keyboard accompaniment style. Sometimes, however, a strikingly original voice emerges that pioneers a truly new jazz sound. But even then, that synthesis is likely to be present to a degree. Pianist/composer Thelonious Monk comes to mind in this connection. Even in his dramatically new jazz sound for its time – or any other time, for that matter – he incorporated an earlier, and by then considered dated, stride piano style. In other words, in his case the “new” was often his new way of expressing the “old”. A typical jazz group performance features a song familiar both melodically and harmonically to all its players. The song is first stated by the “front line” horns, with accompaniment harmonies and rhythms provided by the “rhythm section”…say piano, bass, guitar and drums, for example. Then, as the rhythm section continues to provide the rhythm and harmonies, the horn players – ordinarily one by one – spontaneously create new melodies over those pre-determined chords. Most times the players select notes that are compatible with the underlying chords, but in certain cases players may deliberately decide to play outside the underlying harmonies (which in fact is called “playing outside”), in order to achieve certain contemporary effects, such as bitonality – being in two keys simultaneously. After the improvised solos have been played, the original melody is stated once again, and the piece ends. Almost all jazz performances thus represent a mixture of prepared-in-advance and spontaneous musical elements. If one sees jazz musicians reading from sheet music, it is most likely that that’s the prepared-in-advance aspect of the performance; and when they stand up to solo, that’s the improvised aspect. In some cases, however, even when a soloist is improvising, he or she may be looking at sheet music chord symbols in order to be reminded of the song’s chord progression. So, the mere fact of looking at sheet music doesn’t necessarily mean that what is being played isn’t being improvised. This is most likely to occur when the song’s chord progression is unusually complicated or is unorthodox in the respect that it disregards the “rules” or tendencies of functional harmony. In functional harmony, chords tend to move towards one another in a predictable manner; for example, dominant-to-tonic chord movement, or circle-of-fifths movement. Readers previously unfamiliar with, or with limited exposure to, jazz performance practice should ideally avail themselves of opportunities to go with friends or family to a jazz club or concert hall, in order to see and hear how all of the above is put into practice in a live-jazz setting. They will be astonished and delighted at how memorable their attendance at a quality jazz performance will likely prove to be. In recent years, I have explored the writing of piano-solo transcriptions of well-known classical repertoire, with jazz touches. My latest Hal Leonard book, Classics With A Touch Of Jazz, (more information below with a sample) is a reflection of my long-standing interest in keeping music students and their teachers motivated through the inclusion of jazz music and concepts within the classical piano lesson. 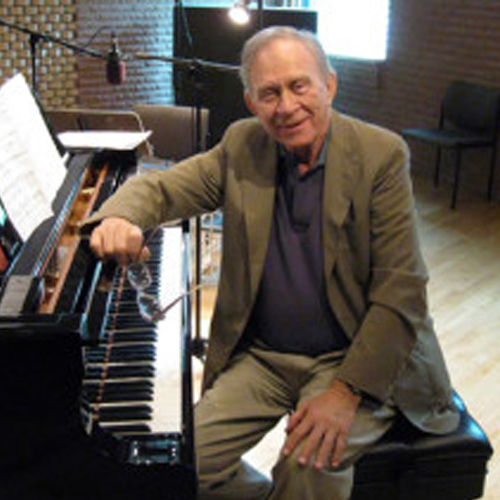 My work in this immensely enjoyable activity was inspired by Franz Liszt, whose passion for transcribing other composers’ music – songs, operatic excerpts, symphonies (including all nine of Beethoven’s) – into brilliant and compelling piano fantasies and paraphrases is inspiring and infectious. One such two-page piano-solo from my Classics With A Touch Of Jazz publication follows this article. It is the 2nd Movement Theme of Mozart’s Piano Sonata No. 16, K. 545. The Collaborative Pianist: What’s In A Name?